Continuing my entries for Operation Write Home's virtual cardmaking challenge, this time we were to make a card for a child with a paper-pieced background. The hostess of this challenge is Kelly at A to Z Scrapbooking. I just had to try the starburst technique again that Tricia shared on her BLOG. You can find the instructions there. 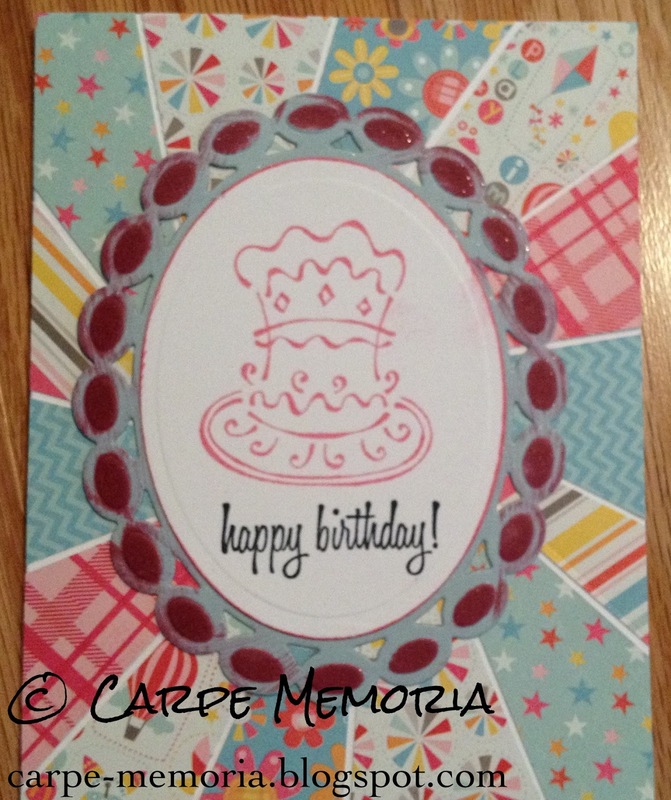 The cake stamp is from Stampin' Up! and the sentiment from Club Scrap. The pattern papers are from a 6x6 pad I bought when Archiver's was closing their stores. I really like how the coordinated papers in 6x6 packs work well for this technique! I'll be including this card in my next box to OWH. Hope a servicemember has a daughter who would like it!